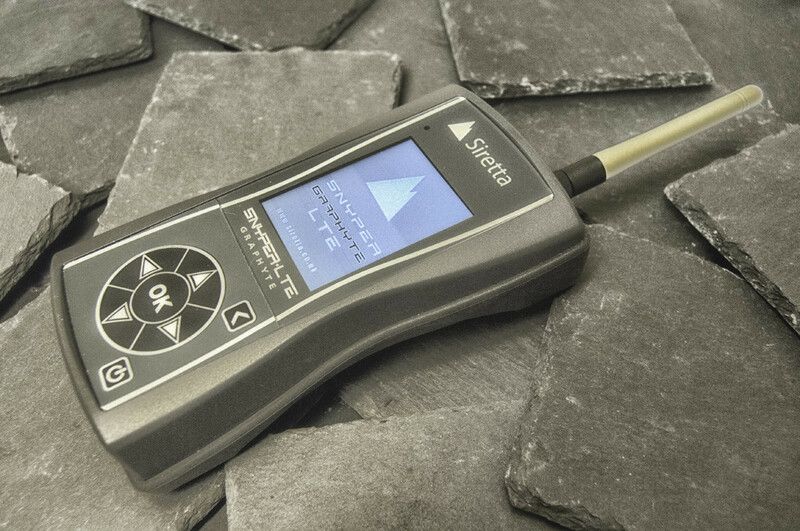 British designer and manufacturer of wireless connectivity and test products, Siretta, has announced the SNYPER-LTE Graphyte cellular analyser. The latest member of the SNYPER range of advanced cellular signal strength testers, the SNYPER-LTE Graphyte enables users to log cellular signal strength over long periods of time to determine the most suitable mobile network operators (MNOs). Many machine-to-machine (M2M) and Internet of Things (IoT) applications use cellular networks for communication, with GSMA Intelligence forecasting almost a billion cellular connected devices by 2020 . SNYPER-LTE Graphyte helps installation engineers and project managers to select the most reliable network for each location and to carry out all post-deployment analysis. Measuring cellular signal strengths over lengthy periods no longer requires anyone to be present, thanks to this sophisticated yet easy-to-use new signal analyser that can be left unattended after its initial set-up. The SNYPER-LTE Graphyte measures signal strength for 2G, 3G and LTE networks, either individually or simultaneously. Another key feature of the SNYPER-LTE Graphyte is that it does not require a SIM to carry out cellular surveys, this being in difference to some of the existing SNYPER Family. Survey results are saved automatically and at the end of the surveying period an overview is instantly available. Detailed and time-stamped logs of cellular signal strengths can be downloaded as required via the device’s built-in USB port for full analysis in standard spreadsheet or graphical HTML format. Depending on the user’s requirements, the multi-survey results (which are available in English, French, German, Italian, Spanish) can then be broken down by base station, mobile network operator (MNO) and network level. Selection of the most suitable MNO/MNO’s for a given location can be assisted through viewing information on the presence of each base-station (visibility), during the multiple surveying period, as well as via an MNO summary table showing the number of operator base-stations at defined signal level breaks. In addition, the SNYPER-LTE Graphyte uses the SNYPER liveSCAN function for selecting individual cells/base-stations and producing a display trace on the device, and a time-stamped logging file that can be downloaded to a PC. Also, liveSCAN can be used in antenna alignment. Essentially the world’s first combined detector, informer, decision maker, time saver and results producer, the SNYPER-LTE Graphyte simplifies survey logging though easy-to-follow menus that enable users to set their survey criteria, including number of surveys and time intervals between them, with pre-set configurations. By improving decision making, the SNYPER-LTE Graphyte means users can act quickly, saving them time and money, and survey a greater number of sites faster than was previously possible. By ensuring the best MNO is chosen at each location, M2M systems are made more reliable, and expensive field visits to change SIMs are eliminated.